50% OFF! Inkax Micro USB Data Sync and Fast Charging Cable worth Rs. 500 for just Rs. 250 Inclusive Of Warranty! Charge your android smart phone or any micro usb support mobile phone safely with high speed data transmission. The Inkax Micro USB High Speed Cable is created with high quality PVC materials which is environmentally safe and lasts longer and provide a consistent power supply. The pure copper conductor ensures high quality. The cable is accurately designed and has a perfect fit. 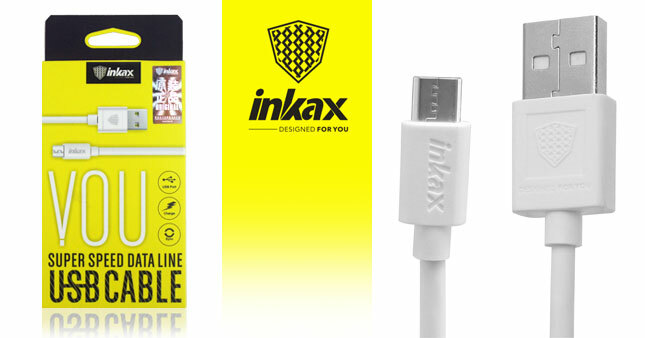 Voucher is valid only for one Inkax Micro USB Data Sync and Fast Charging Cable. Six (06) Months warranty against manufacturing defects.